Monsoon in India is the harbinger of abundance and verdant growth in the countryside. This year, however, the steady downpour and overcast skies bring back uncomfortable memories for Sanjay Patel, the most prosperous farmer of Pataloh village in Madhya Pradesh’s Hoshangabad district. Three years ago, in the same rainy month of August, he was approached by two men who turned up in a car and asked if he would harvest the seeds of the abundantly growing puwad weed for them. They would pay Rs 6 per kg. Puwad or cassia tora is a wild plant that occurs throughout India but is abundant in the tropical belt. Its seed has significant medicinal value and is widely used in the Ayurvedic system and in traditional Chinese medicine, while its leaves are used to make natural pesticide by organic farmers who shun chemicals. Patel was astonished that anyone would want to pay him good money for the seeds of a weed that the people of the village took for granted. The strangers explained that they worked for a pharmaceutical company in Mandideep near Bhopal, about 80 km away, and needed the seeds for use in medicinal formulations. Since it was money for jam, Patel agreed to the terms and for two years he supplied the seeds to the company—he is clueless about its name—and cleaned out Pataloh and the surrounding villages of puwad. He employed 10 to 15 workers to extract around one tonne of puwad. “I made a tidy profit, about Rs 6,000 each season, after paying their wages,” says Patel. This year, the puwad is scarce in the area and the Pataloh residents are now upset with Patel because they do not have enough of the weed to meet their manifold needs. They use the seeds, which come in different flavours, to boost eyesight, as heat reliever for the body and as a laxative among other cures. Each part of the plant has different properties and is used to treat different conditions. The root is used to treat snakebite, while dried and fresh leaves help cure ulcers, ringworm and other parasitic skin diseases. Patel did not know that the company he was supplying the seeds to should have sought the approval of the Madhya Pradesh State Biodiversity Board (MPSBB). “Why do you need permission for cutting a weed that grows everywhere?” asks a bemused Patel. “Sure, it is useful and we farmers also mix it in fodder to strengthen the bones of cattle. But it is a weed, right? It belongs to no one.” Nor did he inform the local biodiversity management committee (BMC) for accessing the weed because there is no regulation that requires it. According to their madate, BMCs are primarily tasked with preparing People’s Biodiversity Registers to document the biological resources and traditional knowledge in their jurisdiction. Pataloh is covered by the BMC in nearby Rohana which is among the more clued-in and active of BMCs in Madhya Pradesh. The Rohana BMC, however, is oblivious to the implications of the puwad case; in any case it could only have offered “advice on any matter referred to it by the state biodiversity board for granting approval”, according to the provisions of the Biological Diversity Act (BDA), 2002. The state board, for its part, is confused: it is not even certain if this is a case of “access and benefit-sharing” as defined in the Act and thus constitutes misappropriation. Sitting in the Bhopal office of MPSBB, its colourful rooms dominated by children’s paintings of wildlife, member-secretary Shahbaz Ahmad is at a loss. “It is true that pharmaceutical industry has been accessing this weed for quite a long time, but no BMC has brought it to our notice nor have we got any request from a pharma company for accessing this weed,” he points out. Such cases are being played out a thousand times over in India’s hinterland where biopiracy is adding to the relentless anthropogenic threats to its rich biodiversity. 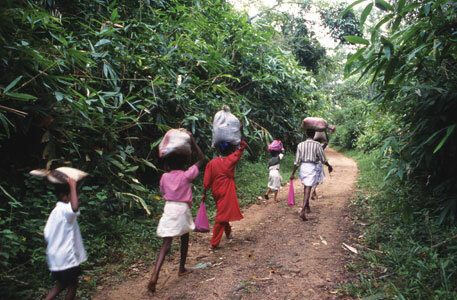 The fault, say critics, lies in the law itself which is focused not so much on the conservation and sustainable use of biodiversity—these are the first two pillars of the Convention on Biological Diversity (CBD) from which BDA draws its mandate—but on fair and equitable sharing of the benefits resulting from the use of genetic resources, the third pillar. Their contention is that the maximum detailing in the regulatory framework relates to access. The opposition to BDA—it was 10 years in the making after India signed CBD in 1993—stems from what environmentalists see as “the lack of clarity on conservation clauses, poor regard to community control and its endorsement of intellectual property rights (IPRs)”. 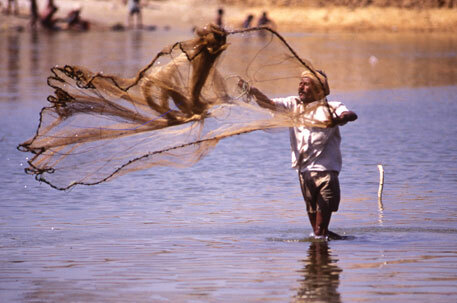 The issue of IPRs is the most contentious since conservationists believe the law indirectly licenses access to biological resources and traditional knowledge which it should not under any circumstances. As such, NBA has regularly come under fire for its access and benefit sharing (ABS) agreements. A total of 100 such agreements have been signed since 2006—a world record. Brazil which comes next has concluded just 10 agreements. NBA itself admits the maximum number of applications it has received so far relate to seeking prior approval for patents: 477 of the total 684 applications. Critics also say that while allowing IPRs, legal provisions for the protection of traditional knowledge in BDA remain untouched. Bhutani, formerly with international advocacy organisation GRAIN, believes the problem lies in the Act. The law tries to reconcile conflicting objectives—trade with use and conservation—and struggles to do the “balancing” act. But “invariably trade and economic interests win”. How exactly is the ABS regime working in India? Is it mostly about access and very little to do with benefit-sharing as a study by environmental group Kalpavriksh claims? Pisupati, who took over as chairperson of NBA in August last year, has an explanation. In a wide-ranging discussion with Down To Earth at his office in Chennai, he says: “Conservation and sustainable use actions have been pursued by a range of local, national, regional and global initiatives, institutions and programmes, whereas ABS is a relatively new concept. There is a need to tease out the operational elements of a system that responds to the ethics and equity questions on the ground. In the absence of specific and policy-oriented focus on ABS, it is but natural that more efforts are being focused on understanding and implementing the ABS provisions both under CBD and BDA” (see 'Building and retaining capacity is the biggest challenge'). But 16 years after India made the world sit up with a landmark ABS agreement that is still studied and debated, the NBA chief’s response appears rather weak. Admittedly, the benefit-sharing agreement by the public sector Tropical Botanical Garden and Research Institute of Thiruvananthapuram and the Kani community was flawed (see ‘The Kani learning’ p40), and admittedly it pre-dated CBD. Even so, it remains one of the best examples on implementation of ABS provisions and principles, as NBA itself concedes. So what are the lessons the authority has imbibed? Not much, it would seem. In no case of ABS has a BMC been consulted; access has been allowed by the higher echelons. And benefit-sharing has been egregious. NBA can cite just one instance: the transfer of part royalty to a BMC. Amarchinta village in Andhra Pradesh got part of the Rs 55,035 that NBA collected as royalty from export of neem leaves (azadirachta indica) to Japan. An Indian company Bio India Biologicals sourced the leaves from this village and Andhra Pradesh State Biodiversity Board helped the village get higher rates for their bio-resource. Progress on putting in place the three-tier system of biodiversity management has been patchy. While all states barring two have set up boards, many have evinced no interest in forming BMCs at the local level. And even in states such as Madhya Pradesh, which has an incredible 27,712 BMCs, their performance is highly uneven. All the same, Pisupati is emphatic that the 2002 Act is not just “a very progressive piece of legislation” but also unique because “for the first time it talks of a decentralised way of managing and regulating India’s biodiversity”. In fact, CBD is all praise for India’s earlier attempt to have a bottom-up approach which, it says, is the best way of getting stakeholders to be committed and take ownership of the subsequent implementation of the national biodiversity strategies and action plans (NBSAP). “In its scale, ambition, degree of decentralisation and popular participation, India’s NBSAP preparation process (2000-03) was the biggest biodiversity planning exercise anywhere in the world,” says a CBD document reviewing NBSAPs of various countries. But at the end of the massive exercise which drew in thousands of people and led to more than 70 state, sub-state, eco-regional and thematic plans to be prepared in addition to the overall national plan, there was no political buy-in. The Union Ministry of Environment and Forests (MoEF) rejected the draft and replaced it later with the National Biodiversity Action Plan of 2008. The ministry by all accounts was unhappy with the draft plan statement that India’s development paradigm was environmentally unsustainable. Here lies the basic conflict. NBA although an autonomous and statutory body of MoEF is bound by executive decisions of the Central government—as are state biodiversity boards by those of state governments. Any decision of the Centre, whether a question is one of policy or not, is final. The only leeway the authority has is to express its opinions “as far as practicable”. Ditto for state boards. As a result, NBA remains a passive onlooker while various ministries approve projects that have devastating impact on the environment and biodiversity. MoEF has cleared thousands of such projects (dams, extractive industries and the like) based on faulty environment impact assessment reports even when these are proposed in the vicinity of biospheres. If BMCs did, in fact, have a say in biodiversity protection and conservation this would not have been the case, claim critics of BDA and its implementing agency. Instead, although the regime’s highly lauded three-tier hierarchy gives the impression that the system is inclusive and participatory it clearly is a top-down approach. Vijayan’s other problem with NBA is that it is not involved in any conservation issue. “Instead of safeguarding biodiversity, the authority is only interested in ways of selling it.” One of Kerala’s sore points is the role of BMCs (see ‘Politics of documentation’). While the Kerala State Biological Rules of 2008 state that the panchayat’s approval must be sought first for accessing genetic resources, BDA rules say it is NBA/state biodiversity boards that give the approval. 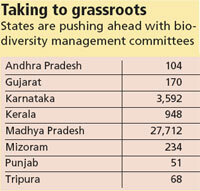 In 2009, the Kerala State Biodiversity Board took on the Centre and called a meeting of state biodiversity boards in 2009 to discuss this issue. “We invited the MoEF, too, but they refused to come. 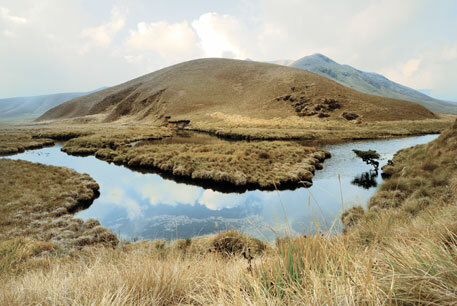 All state boards met and made recommendations on amending the National Biodiversity Rules of 2004. Unfortunately, nothing has been done till date,” says Vijayan. Laws such as Panchayat (Extension to Scheduled Areas) Act, Biological Diversity Act and Forest Rights Act, he points out, very specifically visualise empowering village-level institutions to monitor and protect wildlife, forest and biodiversity. They confer on local communities the responsibility and authority for documentation, sustainable use, conservation of biodiversity and maintenance of ecological balance. Gadgil, founder of the Centre for Ecological Sciences in the Indian Institute of Science, Bengaluru, is currently at the centre of a controversy for a report that recommends drastic measures to preserve the ecology of Western Ghats, a biological treasure trove and one of the world’s top biodiversity hot spots. This again is a development versus conservation battle. This is a story of figures—of figures that tell only part of the real story. And of the politics of biodiversity that remains hidden for the most part. Take the first one. Of the 33,077 biodiversity management committees (BMCs) in the country, Madhya Pradesh accounts for the bulk: 27,712—an unparalleled feat. Considering that quite a few states, including a biggie like Maharashtra, have not set up a single BMC it provokes questions. How did Madhya Pradesh do this? Shahbaz Ahmad, member-secretary, Madhya Pradesh State Biodiversity Board (MPSBB), says the state was the first off the block with its rules which came into force in April 2005. In the subsequent year, principal secretary to the government issued orders that every panchayat should set up a BMC and that is how the huge number of committees came about. Ahmad, who is additional principal chief conservator forests, is the first to admit that it is a huge challenge to keep these many BMCs active and that a significant number are, indeed, defunct. The problem is loss of capacity after each round of panchayat elections when the BMCs are disbanded and fresh ones formed. Take another figure: $1.18 million from the United Nations Development Programme (UNDP) for a project to strengthen institutions of biodiversity conservation and regulation. Under this, Madhya Pradesh is reconstituting its BMCs and so far 793 are back in the running, say officials. 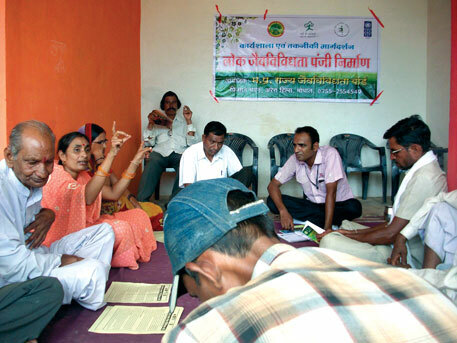 In Jharkhand, 21 have been set up with UNDP funding. BMCs are also being trained to produce People’s Biodiversity Registers or PBRs to document details of the biological resources and traditional knowledge available in their jurisdiction. The PBRs must also maintain data about the vaids or traditional healers using these resources. D P Tiwari, project officer for the UNDP project and state coordinator, MPSBB, says over 400 PBRs have been compiled by roping in college students. Linking up with academia seems to be the favoured route. The Peringamala panchayat in Thiruvananthapuram district of Kerala has a professor of botany as its coordinator. This is an active, committed BMC which wants to bring out what its coordinator M Kamarudeen hopes will be the perfect PBR. Peringamala is located in the buffer zone of the Agasthyamala Biosphere Reserve which is a biodiversity hotspot and the local body has allocated Rs 1 lakh for the PBR- related work. There is clearly a sense of pride and involvement with the local genetic resources in the BMC. But all this raises a critical issue: what is the purpose of PBRs? Will these ensure conservation and community control over resources? In the politics of documentation, PBRs are being viewed with suspicion and scepticism. Kerala, for instance, is determined to safeguard this information which is in the custody of the local body. No information can be taken out or used by others without the written approval of the panchayat. This is mandatory under the Kerala State Biological Rules of 2008. But even then wary BMCs are being circumspect about the information they are putting into PBRs. In Peringamala, for instance, the BMC has collected a lot of data related to tribal traditions on healing practices and use of medicinal plants. “But we have not yet included such information in the register. Once it is in the public domain anybody can use it,” worries Kamarudeen. Former KSBB chairperson V S Vijayan decided not to digitise PBRs because there is nothing in the national biodiversity rules to protect traditional knowledge. “When nations put information about their biodiversity in the public domain, who really benefits? Private companies!” declares Vijayan whose tenure was marked by confrontation with the Centre and the National Biodiversity Authority on the grey areas of conservation. His concerns are genuine and are shared by many in this country. But there is the other view which says PBRs are a good way of creating a database and recording knowledge so that it is not lost forever. 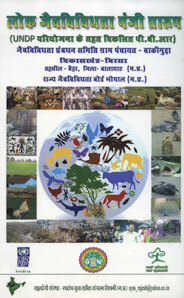 Environmentalist Madhav Gadgil believes that “unlike the sectoral approach of the Forest Working Plans/ Wildlife Management Plans, the PBR approach of the Biological Diversity Act (BDA) is based on a scientifically far more appropriate systems perspective, and a socially far more desirable inclusive approach.” Meanwhile, there is a scramble for funds to run state biodiversity boards and BMCs and to produce credible PBRs. “We urgently need to replace the prevalent ‘control and command’ system by an ‘inform and share’ approach for decentralised management of resources. It would be a flexible system based on continual monitoring of biodiversity resources, bringing on board local educational and research institutions, along with the relevant official agencies working with community members,” says Gadgil. Empowerment of BMCs could, indeed, make a difference to conservation provided the committee is aware of what is at stake. One example of this comes from Kadanad panchayat in Kottayam district of Kerala. Here the BMC opposed the panchayat council’s permission for rock quarrying in a two-hectare because of the environmental destruction it would cause and approached the state board for help. Kerala State Biodiversity Board member-secretary K P Laladhas points out this was the first time a BMC had stood up for conservation and the board called for an environment impact study. However, after elections when the panchayat president and the BMC changed the project was put back. Down To Earth reporters found that in the unlikeliest places there is an upsurge of interest in biodiversity thanks to the People’s Biodiversity Registers that are being prepared at the local level. Farmers are relearning the importance of traditional crop varieties and agriculture biodiversity, children are discovering the significance of their natural environment and college students and professors from the cities are reconnecting with nature. It is an exercise that has just begun and could be the forerunner of a massive conservation movement if it is handled right.